“Wordless Wonder” is the long awaited full length from Real Numbers. It follows up a pair of 12″ EPs on Three Dimensional Records, a single on Florida’s Dying, and recent appearances on cassettes from Forged Artifacts and No Problem. Tenderly crafted by Matt Castore at his St. Paul, MN studio A Harder Commune from late 2015 to early 2016, it is presented here on Slumberland Records for your enjoyment. Members of the band include Eli Hansen (Cozy, Boys Club, Retainers) on vocals and guitars, John Eggerman (Cozy, Private Interests, Mystery Date) on bass, and James Blackfield (France Camp, Nice Purse) on drums. 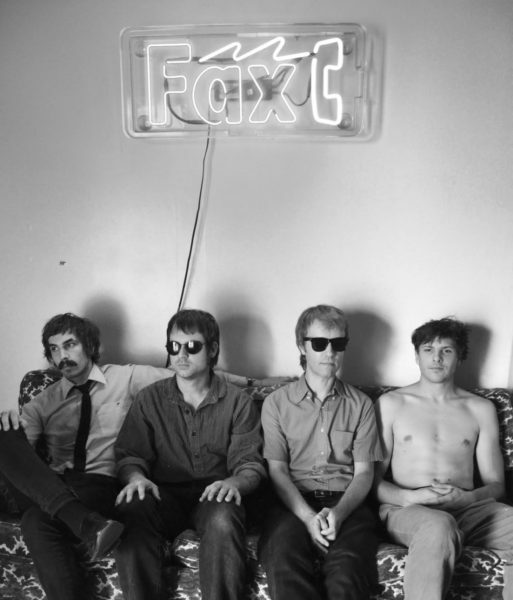 The addition of full time lead guitar player Ian Nygaard (Nice Purse, Howler) reveals a much fuller sound while maintaining the band’s trademark DIY simplicity. As for the songs… The three chords of “Falling Out” sparkle with layered melodies reinforcing the poignant tale of an embarrassed boy having to explain to his parents why he fell out of a car. Other contemplative topics include the Television Personalities’ fall from John Peel’s good graces (“Frank Infatuation”), 60’s biker flicks (“Just So Far Away”) and a Welshman’s infidelity (“Only Two Can Play”). Throughout the album, happy harmonies intermingle with sadness-laced larks. The title track, an introspective meta-composition about the frustrations of lyrical penmanship, rewards the astute listener with light pleasantries. Real Numbers made their debut East coast rounds last summer and are planning a return trip in September. Previous jaunts have consisted of Gonerfest (2011), SXSW (2013), UK/Europe (2010 & 2011) and Japan (2013 & 2014). An Australian tour in 2013 yielded such tremendous opportunities as lawn bowling with The Stevens, performing live on FBI Radio, crashing at Gooch Manor, and having Shorty and Joe from Royal Headache fill in on drums and guitar. “Wordless Wonder” will be released by Slumberland records on October 14, 2016.